Hello there. Yeah — you. The one who thought I was MIA/AWOL/just plain dead. I will be the first to admit that I’ve been remiss in keeping my site up to date. As a former professional web developer, the kiss of death for any site in my bookmark list was always when a site was no longer updated on a timely basis. Sort of the way this one has been of late. After all, why should I pay more attention to a site than the owner does? So who knows what sort of readership I still have left for the House of Rapp — if any. In my defense, however, I’ve got a great excuse. I went from being unattached to dating to engaged to married in a little over a year. If you know anything about me, you’ll know I’m very methodical about important matters, and this sort of thing is uncharacteristic, to say the least. However, it’s definitely the best thing that’s ever happened, too. My fiancee — er, I mean “wife” (I’m still getting used to that!) — and I just returned from a fantastic ten day honeymoon in Hawaii. My only experience with the 50th state had come from a few visits I’d made to Honolulu when I was a kid. And Kristi had never been to Hawaii at all. I explained that Honolulu was basically a major metropolitan area and might not impart the romantic solitude we were seeking. So we ended up honeymooning on Maui, and what a great decision that was! Not nearly as sleepy as Kauai, but far less urban than Oahu. Anyway, the past months have involved working, planning a destination wedding in San Luis Obispo, registering, the honeymoon, and of course the process of combining two households. My routine has been anything but normal, so finding time to write has been scarce. I aim to change that, however. OK, you’re probably here because of an interest in aviation. So, on the flying front, I’m still flying King Airs for Dynamic Aviation. For the past 18 months or so, there really hasn’t been any movement in the pilot ranks. No upgrades, no new hires. But over the past few weeks we’ve had three upgrades, an announcement of a new base manager, and other developments. I’m not sure this portends any sort of upswing in the overall aviation sector, however. These are mainly replacements for existing King Air captains who are moving on to other bases or jobs within the company. Nobody I’m aware of is being hired by airlines, fractionals, or charters. In fact, Netjets, the 500 pound gorilla of the Subpart K world, just announced it was laying off about 500 pilots. So the pain continues. The Netjets news was particularly disheartening to me, because flying for them is my ultimate career goal. 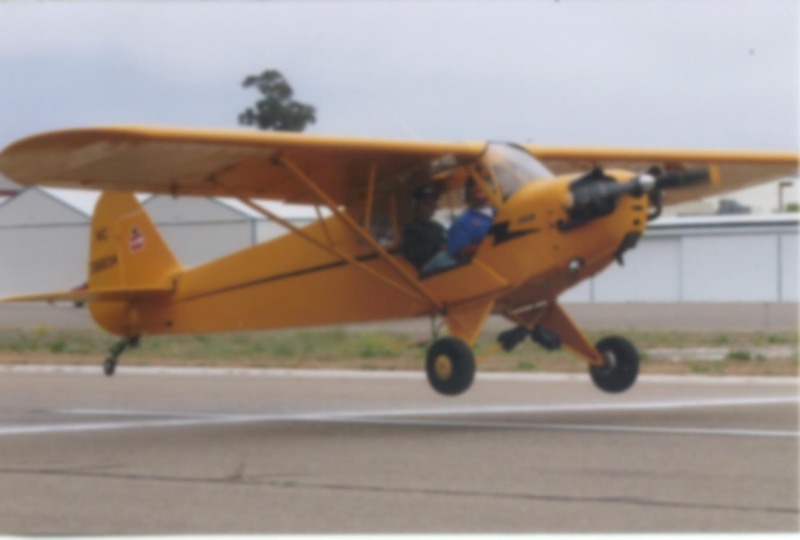 Aerobatic competition has been nil for the past year. Sad, but with the move to the Advanced category, I really don’t feel good about just jumping into things. I want to ensure I can fly the sequences safely and be competitive. Do it right or don’t do it at all. That’s my philosophy. I’ve done some judging, coaching, and instruction, just not much competing. The RV transition training has been picking up nicely. I think I’m starting to get a stronger reputation as a Socal guy that knows RVs. The next step is really for me to get a side-by-side model — probably an RV-6 — that I can use for transitions. The problem with using the student’s aircraft is that often it’s not available. It either hasn’t been purchased, or the builder hasn’t made the first flight yet. I’ve started to delve into what’s required for an FAA training exemption so that I can hire the aircraft out for these flights. Without that exemption, it is not permissible to rent an Experimental airplane. So that’s the story. Thanks for sticking with me and being patient. I’ll leave you with a link to a web site I created for the wedding. It’s got quite a few photos, stories, and other stuff on there. 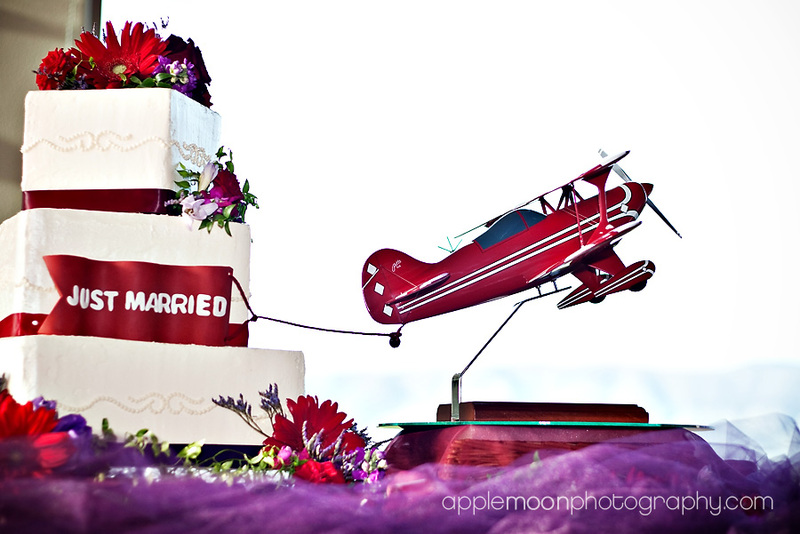 Our wedding was aviation-themed, so you’ll at least want to get a look at the photo of the cake. Still here, thanks to the magic of RSS feeds. Glad to see you squawking again, and congratulations! Glad to see you back in the world of the blogging. Congrats again on the nuptials! Mazel tov on the wedding! Glad to see you back blogging. Sounds like you will have a lot to talk about. Congratulations, Ron! Welcome to married life. And good luck in your career goals. Things may be rough right now, but if you stick with it, who knows what will come up. I don’t know if you’re back on the job yet after your honeymoon, but this morning I overheard on the radio chatter that one of the Dynamic planes had a birdstrike. No big deal, and he landed without incident, but it was interesting to listen to. Funny you should mention that. I was the one flying Medfly 3, the airplane which had the bird strike. Small world, eh? I’ll write something about it shortly. Can’t wait to hear the story Ron! Wow! Checking back every two months finally paid off;)(May have to look into that RSS feed thingy) Okay, you did have a pretty decent excuse…CONGRATULATIONS!! Congratulations Ron. She’s a fortunate woman to have attracted so good a soul. I wish you both happiness. Thanks, Jeff. I’m pretty fortunate myself. 🙂 Hope to see you when you’re out here next for the big run in Death Valley. Perhaps we can grab a drink and celebrate!